Dirtbiketours.nz run full day and multi day trail bike tours across the mountains in the South Island of New Zealand. You can ride with them on exclusive tracks and trails with beautiful scenery, great guides and choose the terrain; tight and technical or fast and flowing; or a mix of both! The variety of our terrain is a true trail riders dream offering everything you could want from a motorcycle adventure, hill climbs, big mountains, river crossings, 4×4 tracks or single trail. New Zealand is known internationally for its diverse landscape and starting in Queenstown will blow your mind! 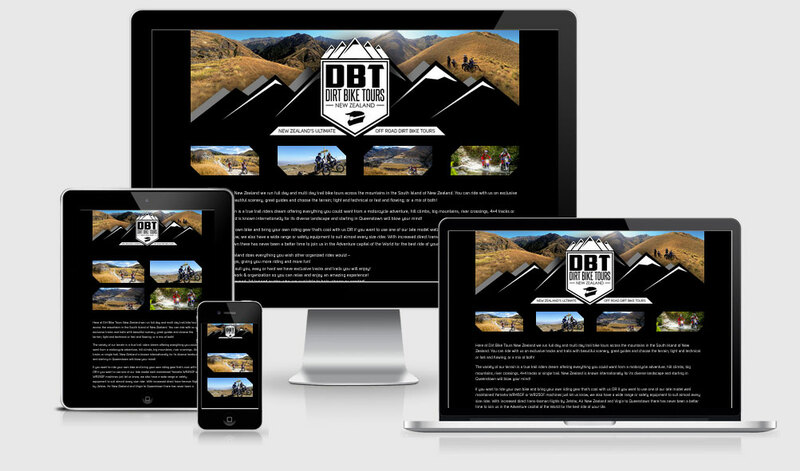 Dirtbiketours.nz is a single-page site where the complete design was supplied in PSD form.